Olympic College is a public two-year community college that educates more than 13,000 students a year. 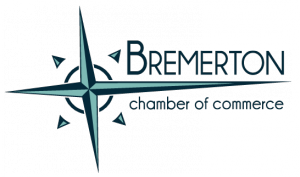 Founded in 1946, the college has three campuses in Bremerton, Poulsbo, and Shelton - it serves a population of 280,000 residents living in Kitsap and Mason Counties. Olympic College helps students build skills for the next phase of their life or career. Olympic College provides options to receive an associate degree or certificate. You can also take classes to complete the first two years of a bachelor's degree, get job training, update job skills, or take a class for personal enrichment. A bachelor's of science in nursing degree is also available through Olympic College or transfer to a university that is co-located at the Bremerton or Poulsbo campus. Students achieve many of their goals by attending Olympic College. Read stories in their own words here. In recent years, the college has undergone many changes including the construction of a new Humanities and Student Services building at the Bremerton campus and the expansion of services at its Poulsbo and Shelton campuses. Updated information on new and expanding programs, outstanding faculty, and top students is available at OC's online news magazine or read news stories about Olympic College that have appeared in the media.